When companies are developing new products, thinking about the packaging right away can save a lot of issues later on, according to Pharmaceutical and Medical Packaging News. In an interview, Ed Emerson, business development manager for the health care industry at Mocon, Inc., told PMP News that failing to consider packaging early in product development could lead to last-minute changes or even the need to fill out a new 510 (k). "A bit of extra time on the front can save years and years of wasted dollars in the long run. We think that is probably one of the most significant possibilities to reduce costs," says Emerson. Another issue with waiting too long to start on packaging design is that companies run out of time and end up over-packaging, or using processes that require too much labor or materials. This is usually a result of time constraints preventing companies from testing different designs. Just as providing time to optimize packaging for a new product can save costs in the long run, upgrading the packaging for older products can reduce costs. As new technologies and products become available, previously designed products can be upgraded to reduce materials costs. McKinsey and Company produced a case study on a consumer goods company that reduced packaging costs by 10 percent on a key product simply by adjusting the design in a way that would reduce the amount of plastic used. Companies can eliminate labels and print directly onto the bottle to reduce materials, as well as change the shape of the bottle to improve packing density. Sometimes businesses can look to the packaging line to cut costs. Improving efficiencies can often increase revenue by reducing staffing and errors. A better label inserter, for instance, can reduce potential problems on the production line. Another option is to have a company come in and review production processes to determine if they could be improved, which is a service Nosco provides. Investing in new equipment could reduce costs over time. 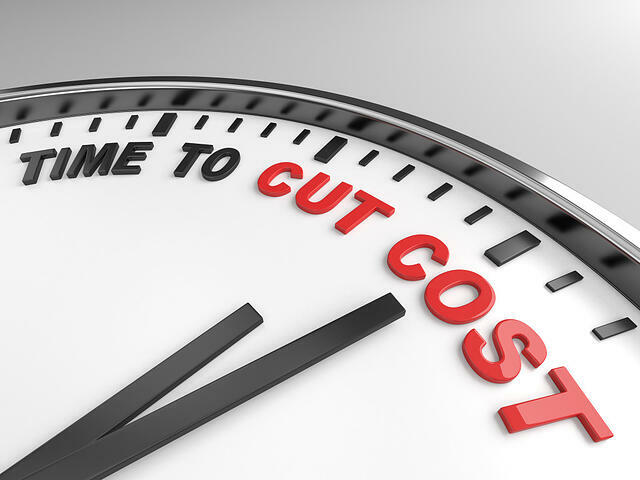 In many cases, switching from conventional printing methods to digital can dramatically reduce costs. Under conventional methods, businesses need to order large amounts of packaging. Digital printing makes short to medium-runs a more cost-effective option for certain product lines. In addition, ordering less can prevent the issue of excess or obsolete inventory, which significantly eats into revenue. An innovative printing expert can partner with companies to work on solutions to their packaging needs, including seeking out ways to reduce costs. Nosco specializes in developing one-to-one solutions for customers. Our innovative mindset has enabled us to come up with many cost-cutting strategies in the past. Choose a printer that runs to an industry standard like G7. These printers, like Nosco, can help you manage your files and your color needs. Proofs are output to the G7 standard and can be matched by any printer in the world who also can run to this standard. This allows companies to order smaller quantities of product from multiple printers that are closer to their operations saving on shipping costs and obsolescence. Press M/R’s are faster when a press room adopts an industry standard like G7. Press rooms are able to get to proof match faster because they have established ink densities, dot gain and LAB values for their ink and print processes. This can lower your per unit cost when compared to conventional printing of spot colors and it’s additional M/R and wash-up times. When proofs are created by a printer that uses an Industry standard, they can be matched on press. There is no need for a company to go in for Press OK’s; saving travel costs and time away from the office. The product received will match the proof approved by the client.